Betsy and I are in the smoothie days of summer. We have a smoothie almost everyday for breakfast (this smoothie actually). 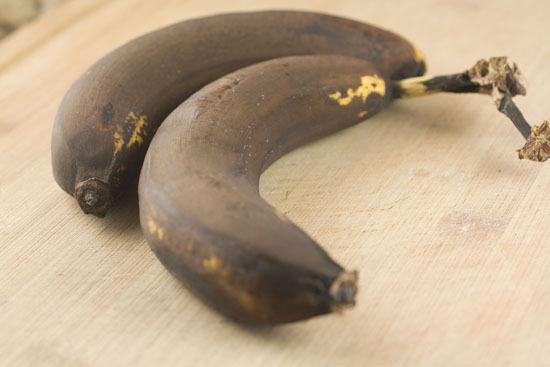 Without fail, we will end the week with a few decrepit looking bananas hanging in our fruit bowl. If you ask anyone what to do with these suckers, they will inevitably tell you to make banana bread with them. That’s fine. Banana bread is good. But what you should really be doing is making Brown Banana Pancakes with them. 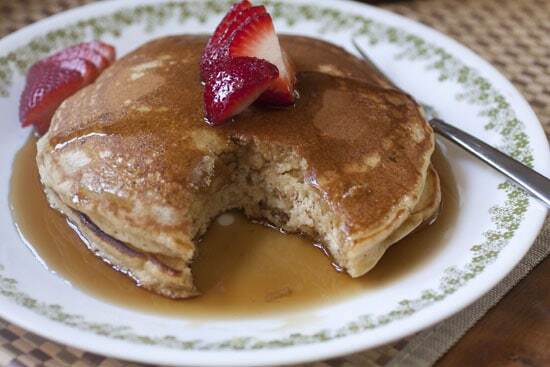 Use your brown bananas to make these deliciously sweet pancakes! Those Brown bananas are good for more than just banana bread! 1) Peel bananas and measure out exactly one cup. Then mash them in a small bowl. Add liquid ingredients (milk, egg, melted butter, vanilla) to bananas. 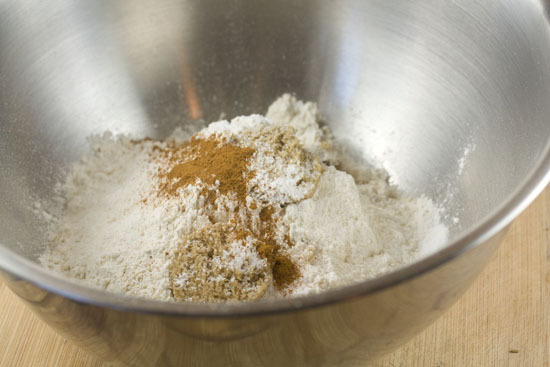 2) Mix dry ingredients in a separate bowl. 3) Stir wet ingredients into dry ingredients and combine well. 4) Heat a large skillet or griddle over medium heat. Add a small knob of butter. 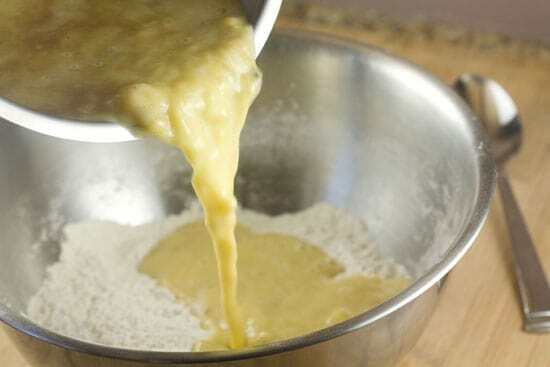 5) Once butter is melted, scoop in 1/3 cup of batter for each pancake. Depending on the size of your griddle or skillet you should be able to make more than one at a time. 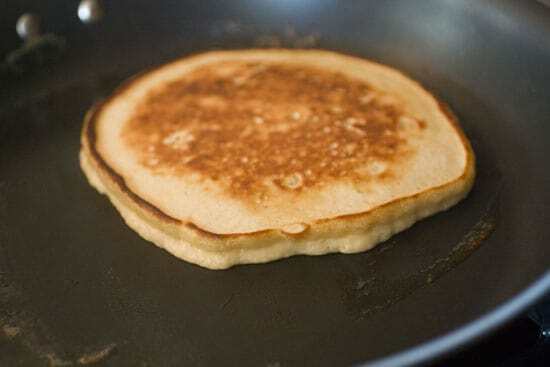 6) Cook until pancakes are firm around the edges and have large bubbles forming on top, about 3 minutes. Then flip. 7) Cook for another 1-2 minutes on the second side. 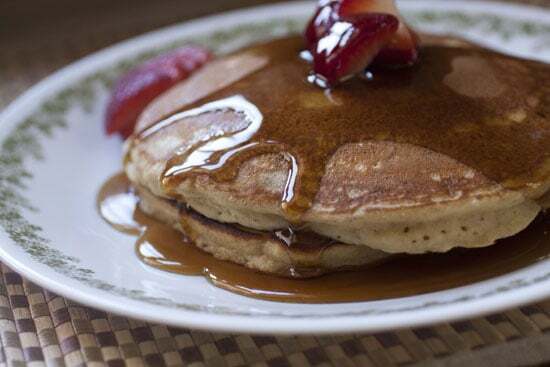 8) Serve pancakes immediately with fresh fruit, butter, and/or maple syrup. It’s important to note that this Brown Banana Pancakes recipe will not work with normal bananas. They need to be near-black and really mushy. You should be almost able to squirt them out of the banana skin. That’s the kind of ripeness we are going for here. You’ll need about two bananas for this recipe, but you should measure your mush just to make sure it’s close to one cup. Scoop these into a bowl and mix them like crazy with a fork. This will turn them into some sort of strange banana slime that looks and feels gross but smells and tastes amazing. This is actually a pretty standard pancake batter. I cut back on the sugar and butter that I would normally use just because the bananas add a lot of sweetness and some moisture to the pancakes. The dry stuff, besides the sugar, stays basically the same though. Just mix up all of the dry stuff in a large bowl. 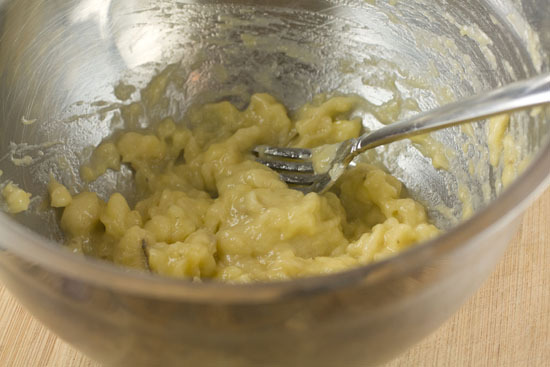 To your banana mush bowl, mix in the other liquid ingredients (milk, eggs, vanilla, melted butter). Then pour the wet into the dry and just stir everything together! The batter should be thick and a bit lumpy. I always tell people not to stress to much about the consistency of pancake batter. If you make one and it is too thick, just add more milk to thin it out. 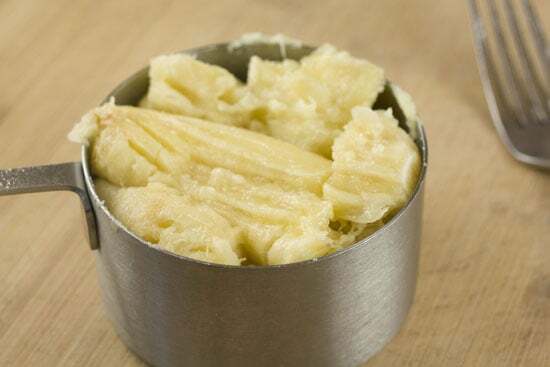 It’s unlikely that your batter will be too thin to start unless you didn’t measure correctly. I normally end up adding an extra 1/4 cup of milk to my batter after I test it out. Also, it’s fine if your batter is a bit on the lumpy side since it has some banana chunks in it. I thinned it out a bit more after this photo. Again, this is standard pancake business. Heat your skillet or griddle to medium heat and add a teaspoon of butter to melt. 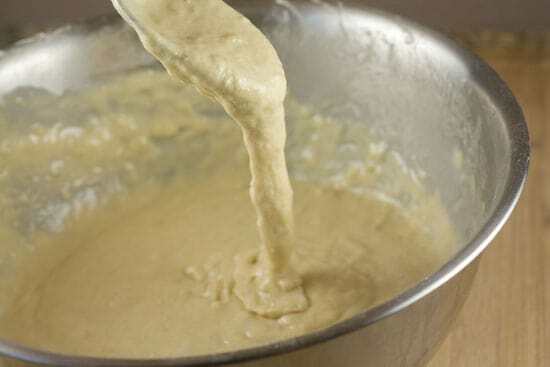 Once it’s melted, add your batter using about 1/3 of a cup per pancake. I would recommend doing a tester pancake just to make sure your batter is the right consistency. You’ll want to cook it for about 3 minutes on the first side. 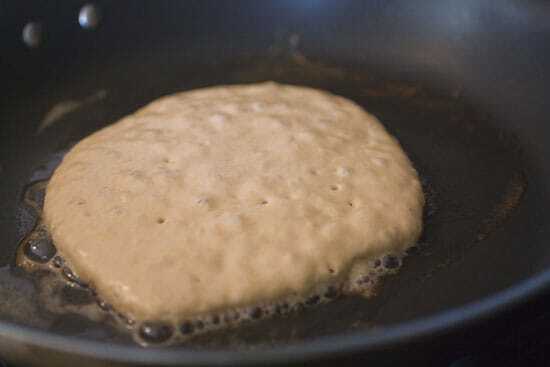 You know it’s ready to flip when the edges start to firm up a bit and there are large bubbles forming on the top of the pancake. Moment of truth! Give it a flip! My tester came out perfect so I knew I was ready to roll. In all honestly, even though I make a lot of pancakes, I still normally screw up the first one. Don’t let it get you down. Assuming you have a decent sized griddle or skillet you can probably make more than one at a time once you know that your batter is good to go. Serve these as soon as possible when they come off the heat. I liked mine with some diced strawberries and a healthy drizzle of real maple syrup. It’s kind of hard to see the bananas because they pretty much melt into the batter, but trust me. You can smell them and taste them. I’ve made a lot of pancakes over the years, but these were some of my favorite. Hard to see the bananas, but you’ll taste them. There’s nothing wrong with a good loaf of banana bread, but the next time you find yourself facing some brown bananas, give Brown Banana Pancakes a shot. I make banana pancakes all the time, but have since started to add about 3 TBS (maybe more, oy) of crunchy peanut butter to the batter. Freakin amazing. Whoa. That sounds really good Cori. Great idea! I peel and freeze the sad bananas and use THOSE for smoothies. 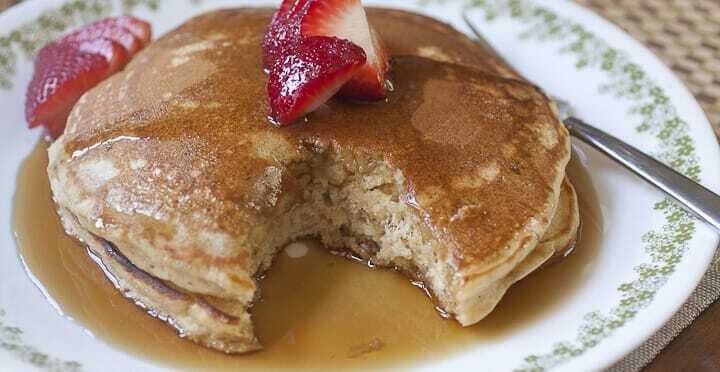 Banana pancakes are an ideal way to use up those mushy brown bananas. The problem with banana bread is that it uses too much sugar. Here you get a nice flavor with little added sugar and you can control the amount of syrup you add. Totally making these on Saturday! yum! You can also stir very ripe bananas into oatmeal as you’re cooking it on the stove. It totally dissolves (maybe not the right word?) into the oatmeal to give it richness, creaminess, sweetness, and some nice, but actually subtle, flavor. From there, I might go a more savory route and add almond butter and nuts/seeds. Or I might go a sweeter route and add some nuts and dark chocolate morsels (if I think of it while cooking, I’ll throw them in the freezer briefly so they don’t melt as quickly in the oatmeal). Now that it’s past fall/winter, I’ll second the smoothie comment above. We actually freeze them earlier than total brown – usually just nicely spotted. We peel them, break them in half, and put in a freezer bag. For a smoothie using frozen fruit, we put fresh bananas; otherwise the frozen banana supplies the chill factor. It’s great with some almond milk, almond butter, cocoa powder, and protein powder – a hell of a post workout shake!